What is accessibility testing? And is it really necessary? Today is the 7th annual Global Accessibility Awareness Day—a “holiday” borne of a single tweet from Joe Devon back in 2011. And while we’ve talked about the importance of accessibility for all before, today we’re going to talk more in depth about the importance of an accessible user experience and further explore this type of testing. It’s curious and unfortunate that accessibility testing is still ignored by a significant number of companies and developers. Whether due to a well-intentioned unawareness of the significance of accessibility on mobile and the web, or an obstinate ignorance because of the cost of this type of testing, it’s time to stop ignoring the necessity of accessibility. Well, clearly user experience is an important factor. Very few brands, developers, or engineers build an app or website without considering how their users will interact with it at some point—because we all want to build apps that are successful, and that starts with building apps that are usable. That’s why testing companies like PLUS QA exist, of course. We are the second (and third and fourth and so on) pair of eyes that will review our clients’ apps and spot the bugs—anything that makes the user experience unusable and unappealing. The problem is that one very big part of the more-common usability testing has been all but ignored for a very long time: accessibility testing. While, at first read, the two terms seem interchangeable, there are very key differences, especially as it concerns user experience. Accessibility ensures that your app is not just usable, but that the experience of using it is equivalent for everyone. More specifically, that means taking into consideration people with impairments—whether they be physical, auditory, visual, or cognitive—and incorporating alternative access to your app or website for those people. This consideration is important because overlooking it means potentially overlooking a large swath of your user base. 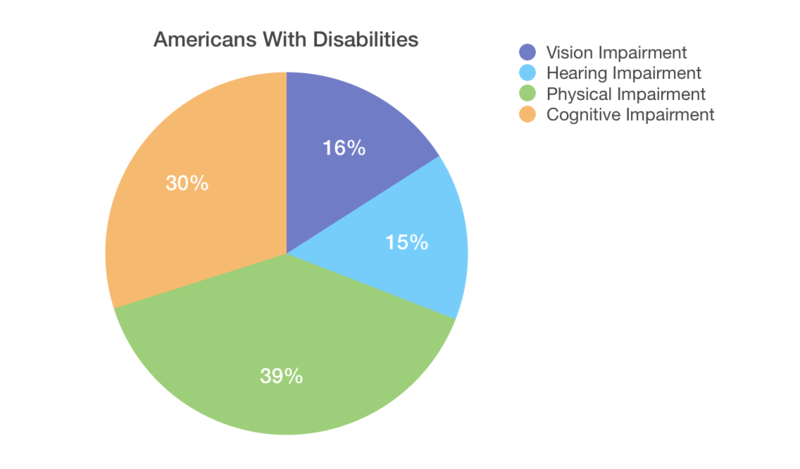 According to the 2010 US census report on Americans with disabilities, approximately 50.8 million people in the United States have a disability of some sort: 8.1 million people have difficulty seeing, 7.6 million have difficulty hearing, 19.9 million have a physical disability, and 15.2 million have learning or cognitive disabilities like dyslexia or more serious developmental disabilities. Each of these users have special needs that require technologies such as screen readers, screen magnification software, speech recognition software, and special keyboards for communication. 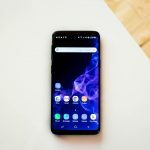 But even the most well-intentioned developers often design mobile applications or websites that fail to consider and facilitate the use of these special technologies. In their book, Hooked: How to Build Habit-Forming Products, Nir Eyal and Ryan Hoover quote behavior psychologist and Director of the Persuasive Technology Lab at Stanford, BJ Fogg, as saying: “The greatest return on investment generally comes from increasing a product’s ease of use.” So, failing to test for accessibility not only lacks empathy and inclusive design, it lacks real business acumen, too. Most importantly, to ignore the opportunity to make your application or website accessible is to ignore nearly 20% of the US population. 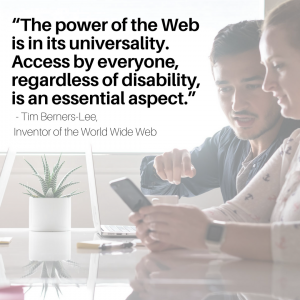 That’s why it’s more important than ever to ensure that people with disabilities can understand and interact with your app or website as well as any other user can. That’s why it’s more important than ever to incorporate accessibility testing. How Can I Make My Application More Accessible? As with any business, it’s important to know your target users well. Research or surveys can go a long way in helping you create an experience that’s user-friendly from that start. Am I building with empathy? Empathy involves being able to see the world through someone else’s eyes. With greater understanding of who your users are—and with greater understanding of the US or global population—empathic design will be an integral step towards greater accessibility. 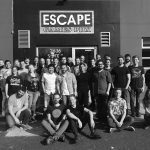 Have I tested for accessibility? Consider testing for accessibility before going to market. This additional step in the testing process will ensure you have covered every base, and will gain the interest, trust, and respect of all of your users. To ensure full compliance with the American Disabilities Act (ADA), we encourage you to read the WCAG 2.0 Interactive Accessibility Compliance accessibility guidelines—but also keep in mind that most applications and websites don’t need to meet that high standard. There are basic, but important changes—such as alt-text or keyboard-only navigation—that you can make today to be more accessible (even if not fully compliant) and start reaching a lot more people in the process. Why Do I Need More Testing? Accessibility testing—much like functionality and compatibility testing—looks for the “bugs” in your application; the bugs that highlight where the user experience may be inhibited for people with disabilities. At PLUS QA, we look for possible accessibility issues for users with different impairments. Our services include testing text spacing/sizing and color scheme/contrast for vision impairment; checking for video captions and text alternatives for hearing impairment; testing for keyboard- and mouse-only pass for physical impairments; and testing for ease of navigation and alternatives for time-based media for cognitive impairment, amongst other assessments. While we don’t offer accessibility compliance testing, we can help you make your application or website better. As with all of our testing services, our goal is to provide a consistent and usable—including accessible—experience for users across all platforms, browsers, and devices. That’s how we keep our customers happy: by helping them keep their customers—across a wide spectrum of abilities—happy, too. Get in touch if you’re interested in learning more about accessibility testing and the services we offer at PLUS QA. We’d love to help you make your application or website more accessible to all!